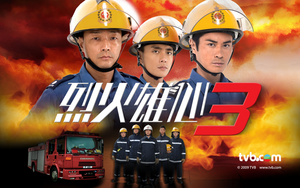 K.O.3an Guo or Zhong Ji San Guo is the threequel of the series KO One and The X-Family. 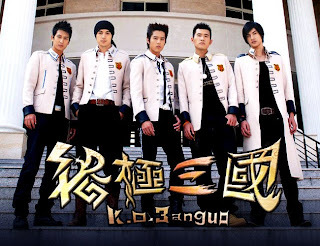 After getting kicked out from their 24th school for starting fights and couldn't find another school that would accept them, Guan Yu and Zhang Fei thought it's a God send that Liu Bei proposed to be their sworn brothers so they could enroll into the prestigious Dong Han Shu Yuan, a school exclusively for royalty, on the condition that they pay for his tuition. Though they enrolled, it didn't mean they attended the class in peace because they must survive the school's death traps and hostile invasion from warring schools. Taiwan Romance Drama "Prince Princess 2"